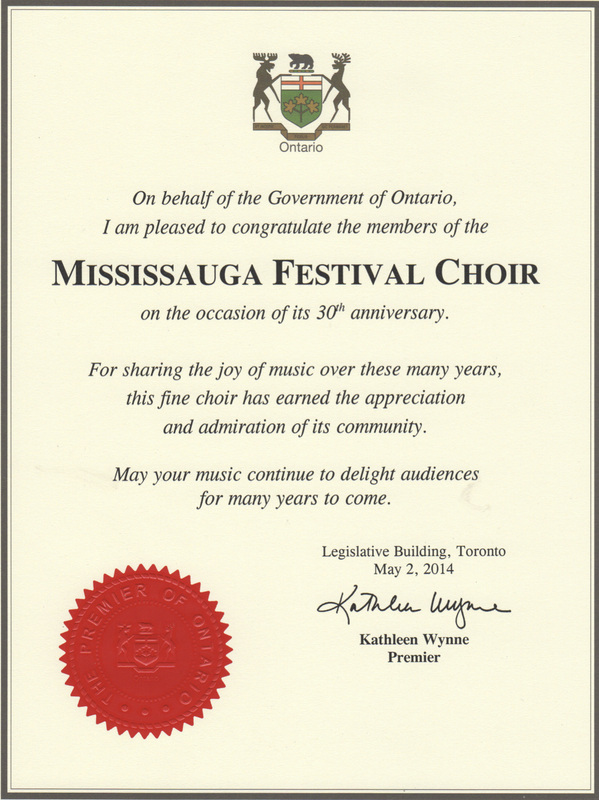 The 150-voice Mississauga Festival Choir was founded in 1984 to honour the City of Mississauga’s 10th anniversary. 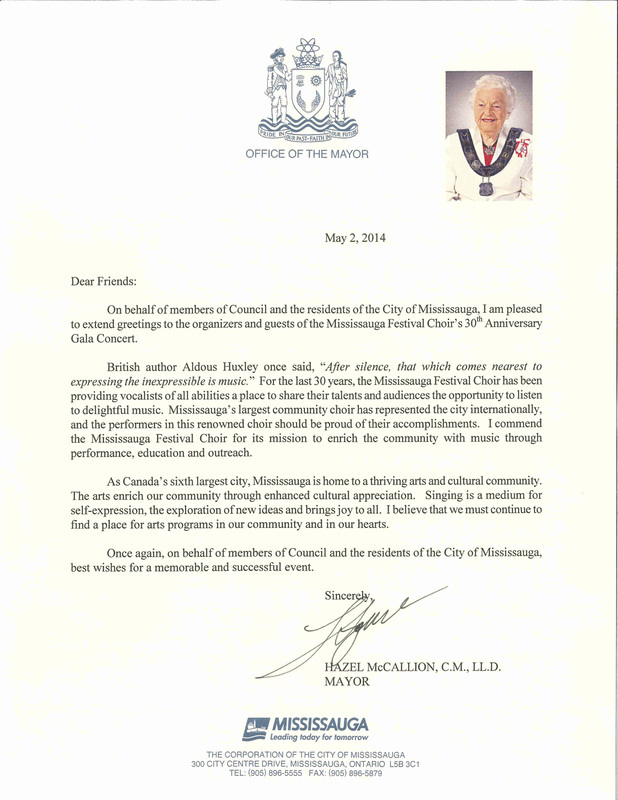 It has been an integral part of the city’s arts scene ever since, providing exemplary music education and performances to the people of Mississauga. Founded by Dr. Lori-Anne Dolloff and led by David Ambrose since 2006, MFC is a true community choir open to all singers--no audition is necessary. MFC is proud of its strong community ties, and each season raises funds for neighbourhood charities through its Festival of Friends event, raising more than $20,000 for many causes over the past 10 years. MFC also represents the people of Mississauga internationally, having toured Scotland and Ireland, and in the summer of 2014, Budapest, Vienna, Salzburg and Prague. The 2013/14 season was MFC's 30th!